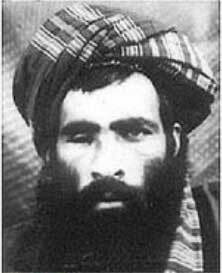 Mullah Omar Reportedly Captured! | Virginia Right! In an exclusive release, Big Government Dot Com is reporting that the illusive terrorist and Osama Bin Laden friend has been captured. In Pakistan. More important than that, it seems Secretary of State Hillary Clinton was kept out of the loop. Incredible! Through key intelligence sources in Afghanistan and Pakistan, I have just learned that reclusive Taliban leader and top Osama bin Laden ally, Mullah Omar has been taken into custody. According to the State Department’s Rewards for Justice Program there is a bounty of up to $10 million on Omar for sheltering Osama bin-Laden and his al-Qaeda network in the years prior to the September 11 attacks as well as the period during and immediately thereafter. ← Ford O’Connell of ProjectVirginia Wins Rising Star Award!